Document Management System is used to Scan, Index, Store, Retrieve, Process, Control and Distribute critical business document safely and securely. Document Management Systems usually save information on cloud servers or on-premise servers. These automated storage spaces often take up less space than their physical complement. Capturing: In order for paper records to be useable by the document management system, they must be scanned in. For companies that need to carry out this manner and who have many paper documents, this may be time wasting and costly. Metadata: Metadata is used to classify the document so that it can be recovered later. It can include keywords, date, author, etc. The user is often asked to enter this metadata or the system may excerpt it from the document. Indexing: There are many different forms, and a great indexing system is essential. The index function will use metadata. Searching & Retrieval:The document management system's search function is one of its most crucial elements. Search functions can be more or less difficult, allowing for searches by parts of the document's metadata, or by exploring the actual document for keywords/expressions and using analytical analysis to resolve connection. Versioning: Storage and management of different versions of documents - valuable for documents that require constant updating. Allows approved users to return to earlier versions. Administration & security: Any IT system needs to be controlled and policed. Users require different levels of permission, with certain more delicate functions/documents being available only to selected users/administrators. Document management systems will also have backup systems in place in case of disasters. Main focus to have DMS is paperless office. Meaning to say that reduce paper and storage space. Everything scanned and maintain as electronic document in cloud or local systems. Cloud Based Document management system helps to store all the documents in cloud. Access documents from anywhere and just need internet connection. Some of the customer prefer on-premise model so, they can setup DMS system on their own site whether its local or own cloud. 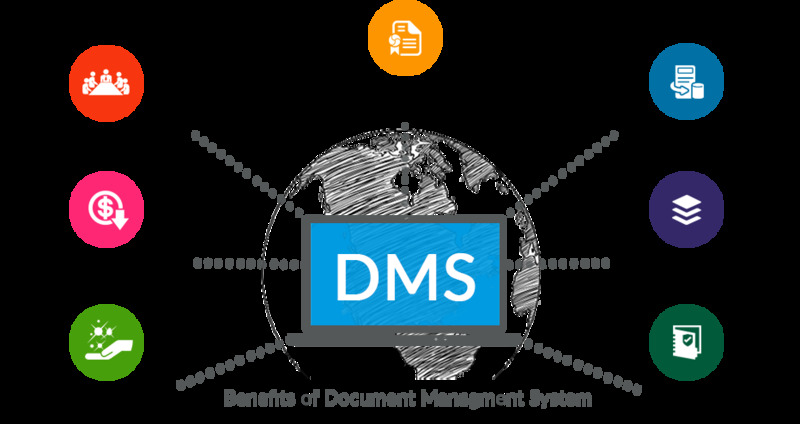 DMS helps to restrict the document from unauthorised attempts. All the documents shared with high level encryption. Every proper DMS comes with audit trail which helps to track document history like who create the file, edit, share, delete with date.